This third part, a download DVD, shows an entire hypnotism show from begin to end. It is an outdoor fair show that starts quite slow - almost boring. There is lots of distracting noise. 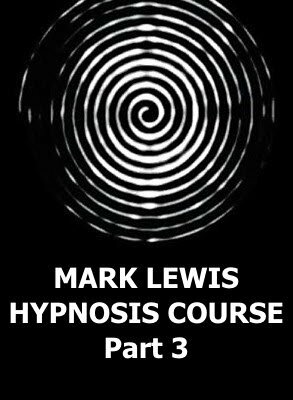 Still Mark Lewis spins his hypnotic web and leads the audience to a hypnotic experience many have never seen before. This video should be watched for entertainment only since there is no instruction of any kind depicted on it. The purpose of this recording is to amplify the information on the Audio recording and on Part 2. Another very important purpose, however, is for the viewer to understand the sequence of the show to make Part 4 easier to watch. Particularly interesting here are some of the after show comments made by spectators who were hypnotized on stage. If you are a skeptic there is a good chance these comments will convince you that hypnotism is real and at least works on some people extremely well. If you are not interested to become a stage hypnotist but still want to see what a hypnotism show looks like, this is a good download DVD to get.